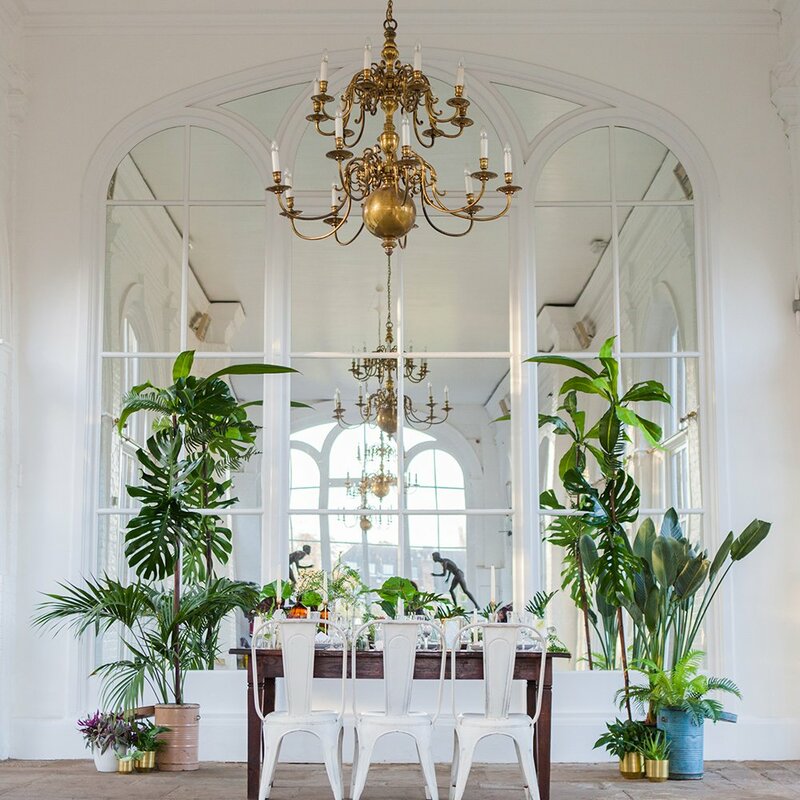 Solmaz and Nick planned an intimate, black tie wedding at Malmo’s Bloom in the Park; a cool, contemporary fine dining restaurant, located lakeside in the lovely Pildamms Park in the centre of Malmo. 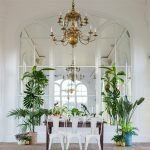 With after dinner drinks and dancing at The Embassy of Sagrantinia cocktail lounge, this was an elegant wedding for a couple who love the City and wanted to share their love of fine food, drink and venues with their closest friends and family. 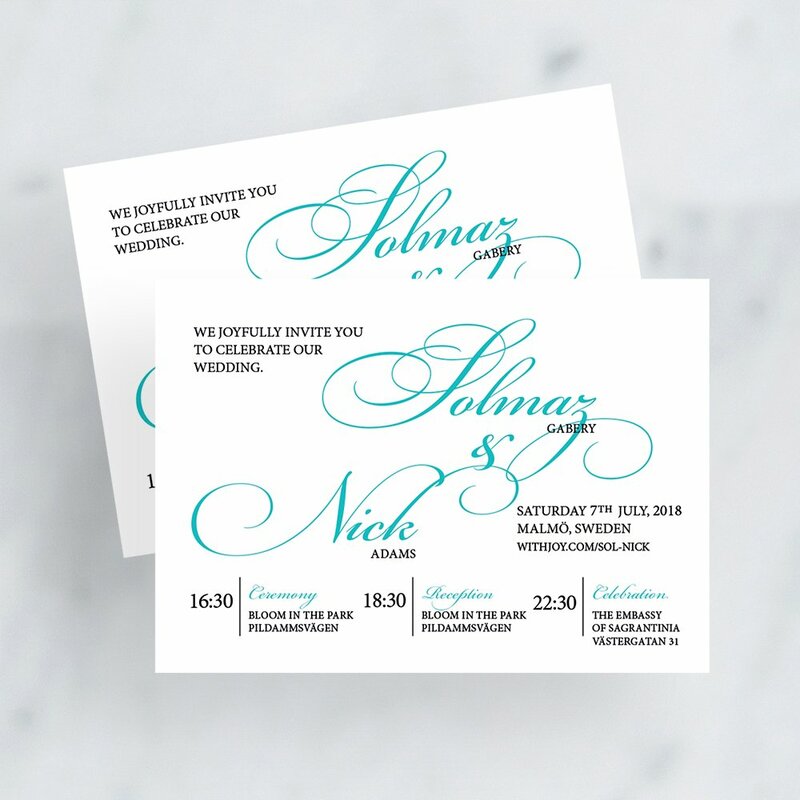 Their invitation suite reflected the occasion and incorporated a minimalist, contemporary invitation design, with a flamboyant calligraphy style script font for their names. 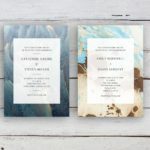 The aqua and dark grey colours selected for their stationery echoed their wedding colours. 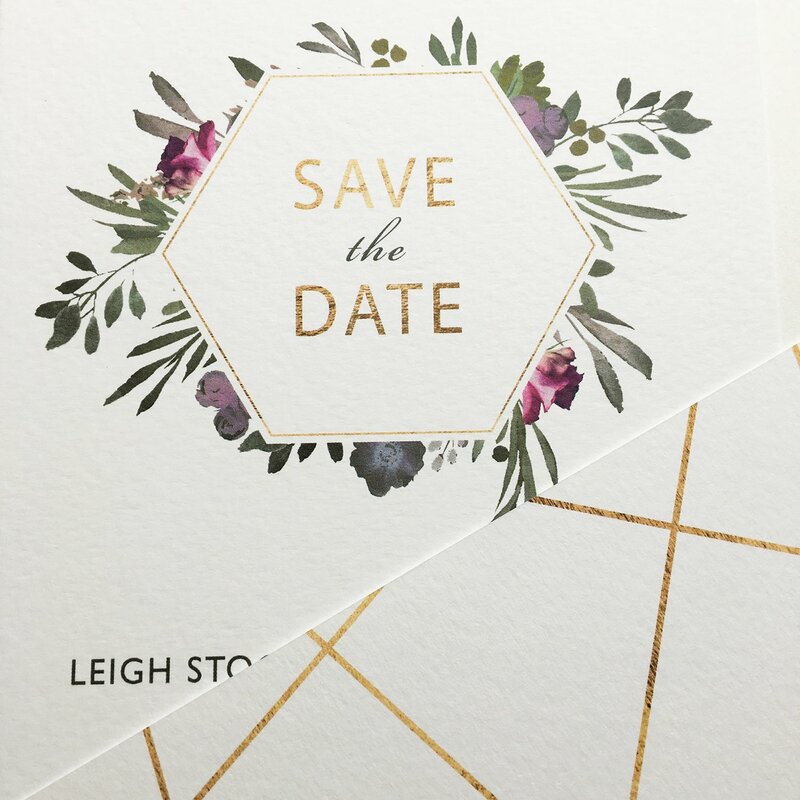 Are you looking to define your stationery ‘look’, or maybe you’re feeling overwhelmed, or frustrated, by hunting for a style that reflects YOU and YOUR special day? Look no further! 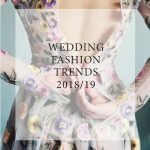 Get in touch today and let me create a beautiful design which aligns perfectly with your wedding day goals! See how this design has been given a completely different, rich opulent feel in the Wedding Inspiration Lookbook.